We seem to be living in a world of instant diagnosis. You watch a commercial, see the symptoms, go to the doctor and bang, you have something. But the ability to talk about it alludes many. In Almost a Genius, a young woman living with bipolar disorder not only talks about, she brings light to it. From tales of her experience to an assortment of characters, Maria Wojciechowski naturally makes Almost a Genius a great evening of theater. 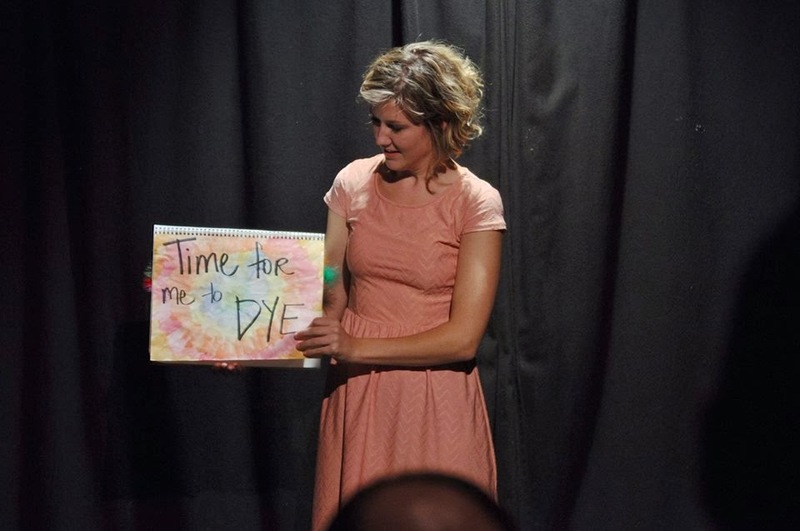 Maria Wojciechowski, a Chicago based sketch and stand up comedian, shares her story of living with and accepting life with bipolar disorder. We get a glimpse of her many lows and occasionally highs all while having fun. Mixed with characters, sketches, and monologues, she was able to bring life to the disorder. The most appealing part of Almost a Genius is Wojciechowski’s ease as a performer. She is funny, with a bit of a dirty mouth. Maria Wojciechowski’s braveness shines through in this autobiographical hit. Her authentic vulnerability tugged at our heart as her ability to poke fun and allow us to laugh along made this solo show a hit. Her direct addresses pack the most weight and allows her to share her secrets naturally. From her heartbreaking dog story to her hilarious suicide notebook, Wojciechowski knows how to win the audience and keep them engaged. Her characters, including a sad banana and a nun straight out of the Sound of Music, Wociechowski incorporates a little bit of herself as a performer into her personal life. Luckily Wociechowski knows how to perform. Director Natalie Shipman did a nice job aiding Wociechowski tell her store. There was, however, a little too much time to breath in between bits. Overall, the transitions lasted a tad too long not allowing breathing room when we truly needed it. Almost a Genius is definitely a must see. Wociechowski knows how to share a story and you want to hear hers.